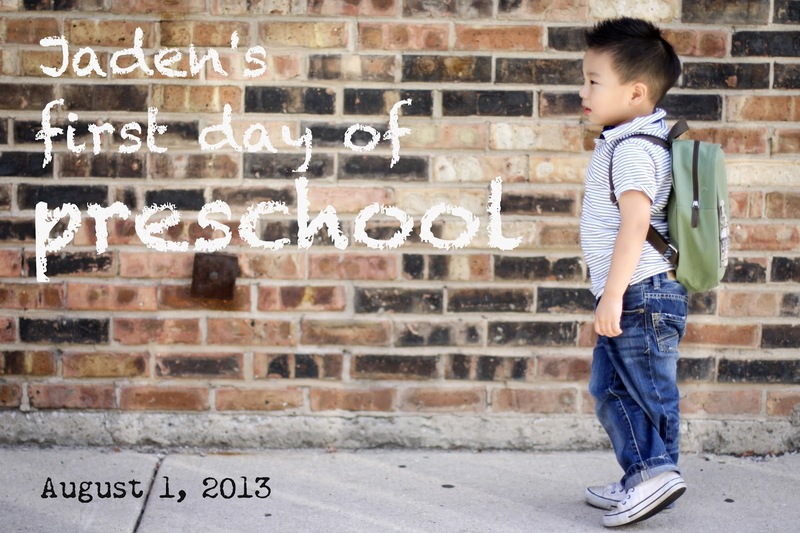 yesterday was jaden's first day of preschool. the only time he's ever been away from me was when everly was born and i spent my first night at the hospital bawling my eyes out and filled with guilt because jaden wasn't used to being separated from me. so, i was mentally prepared to camp out in my car and cry my eyes out after dropping him off at school. but instead of tears i left with a bittersweet smile on my face because he did so very well. judging from past experiences at places like My Gym or Gymboree, i expected him to take a very long time to adjust and warm up to a structured group setting. 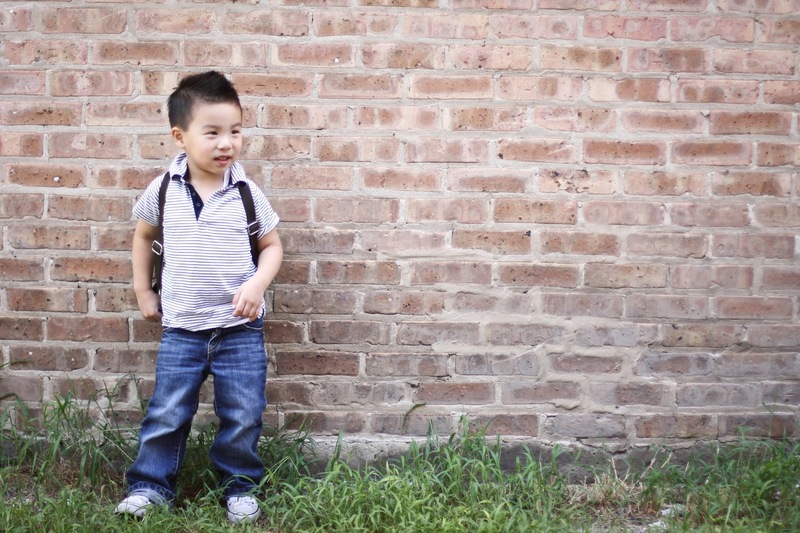 but amazingly, he immediately took to his teachers and classmates. when i picked him up, his teachers were full of praises about how he's so proper and polite and eager to learn. i don't think i've ever been more proud. it feels like just yesterday we brought him home from the hospital and i stared at him wondering how on earth i was gonna raise this tiny little being. he's always been so dependent on me that i dreaded the day i would have to drop him off at school in an unfamiliar place with a bunch of strangers. but he sure has come a long way even from just a few months ago when he'd pull on my dress to ensure i'd never be more than five feet away from him. he's now independent, sometimes outgoing, and always seeking adventure. i have no doubt that he'll thrive in preschool. now, here's to hoping the next two decades of schooling goes just as smoothly. happy weekend!